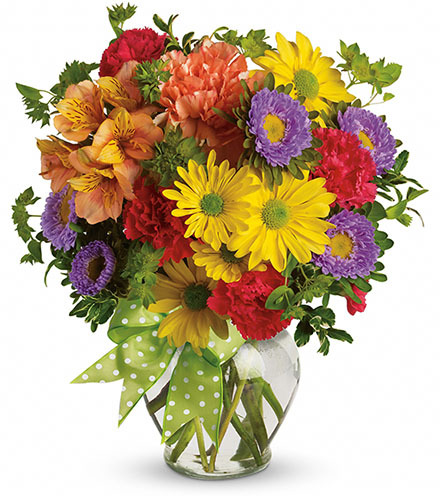 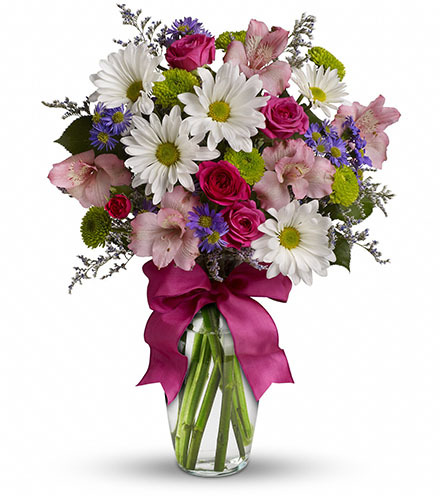 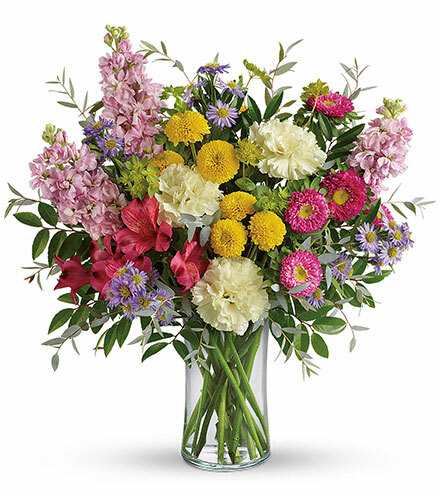 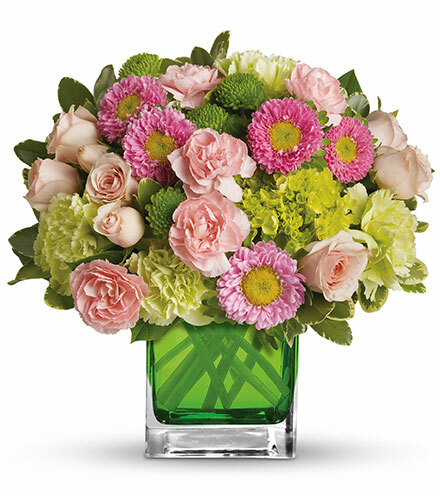 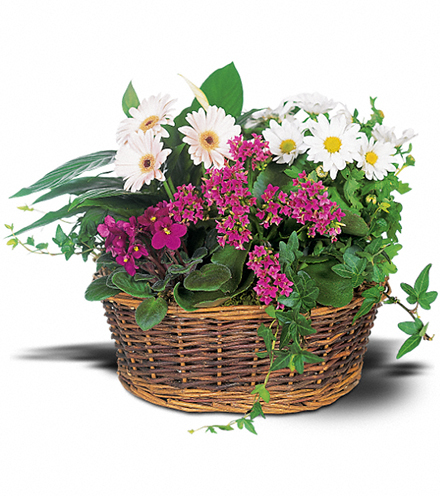 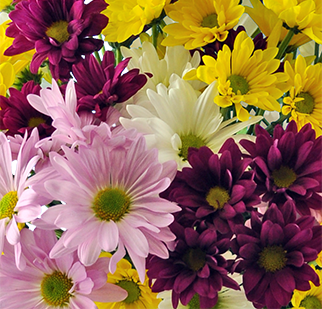 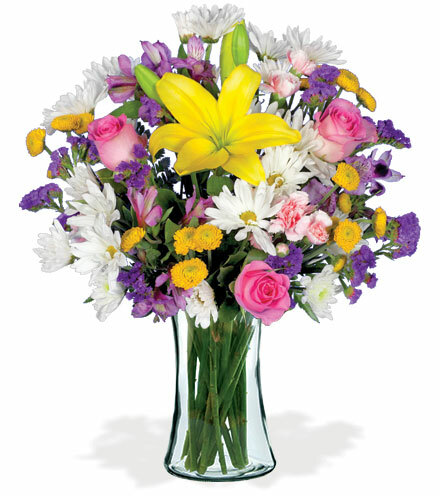 This bouquet is uplifting and reminiscent of a day full of delightful sunshine. 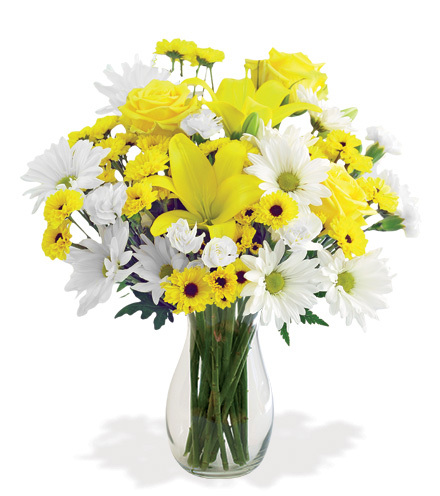 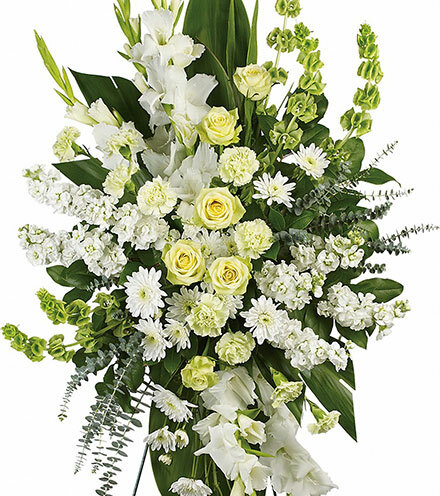 Hand-picked by floral professionals and packaged with a "get well" mylar balloon and sweet stuffed bear, this arrangement is a complimentary mix of white daisies and yellow roses, delicately combined together with Viking yellow pompons and lush ruskus greens. 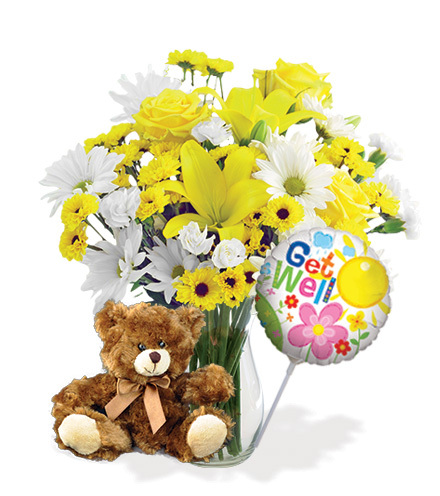 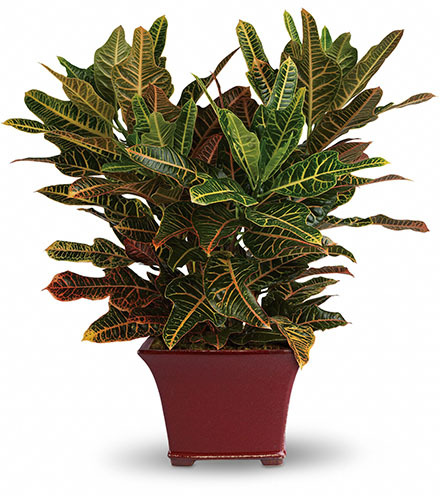 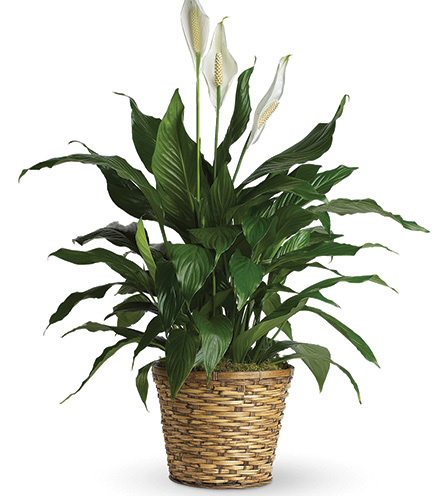 Send this gift as a reminder of your good well wishes. 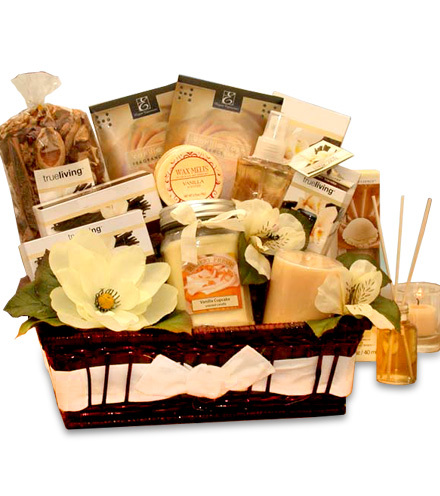 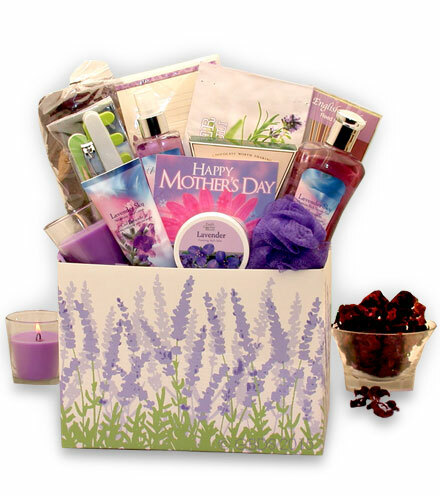 Your lucky recipient will remember this sweet gesture for very long time. 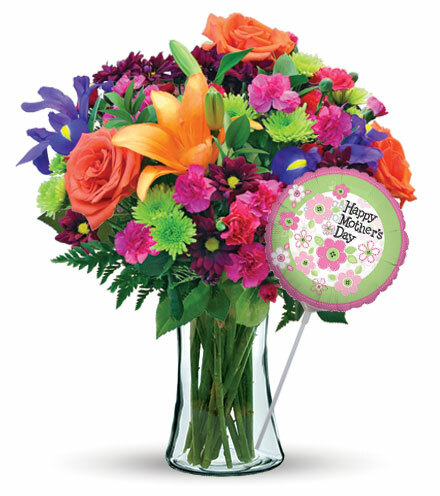 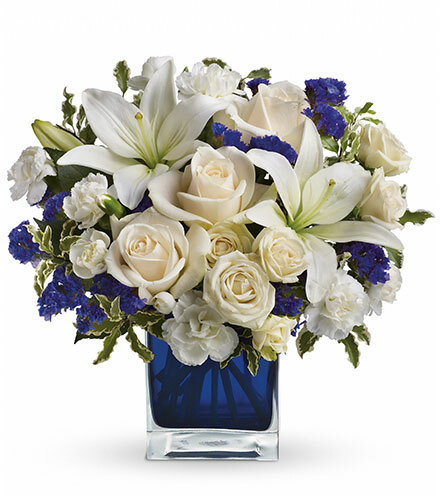 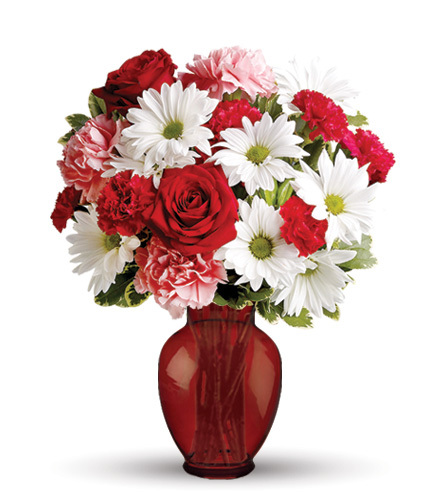 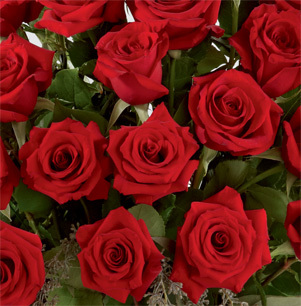 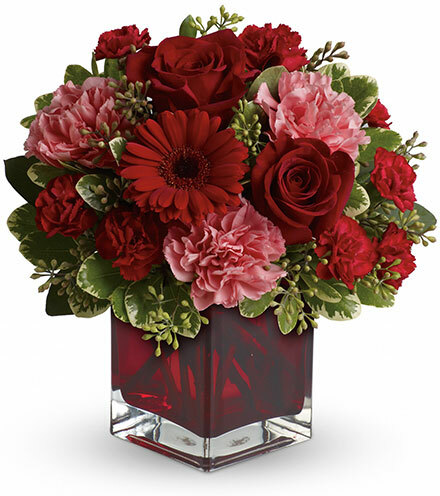 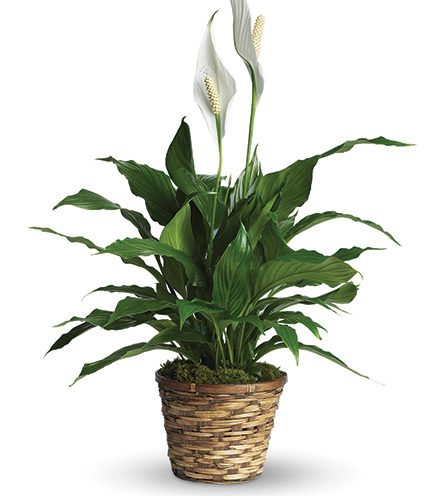 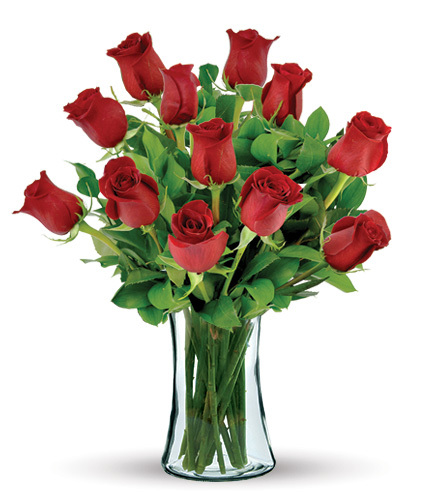 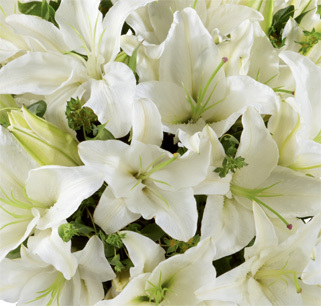 Include a heartfelt message with our complimentary gift card for a truly memorable floral delivery.